Reports and rumors about the status of AirPower have been floating around for months, with many now speculating that Apple will announce the sometime this week. Rather unsurprisingly, Apple has made official statement on the matter, but now a new finding on the company's website suggests AirPower could be just around the corner. AirPods page on its website following the announcement of an improved pair, the company proceeded to remove all references to AirPower – it even removed the old marketing image showing AirPower charging an iPhone X and a pair of AirPods. A replacement image is yet to be added to the page, but as it turns out, there is actually a new, never-before-seen official AirPower image hidden within the source code of Apple's Australian website. Overall, the new press image is pretty similar to the original. This time around, though, Apple has replaced the iPhone X with a newer iPhone XS. Another tiny detail which has changed is the device owner's name – it was previously Sam but is now David. 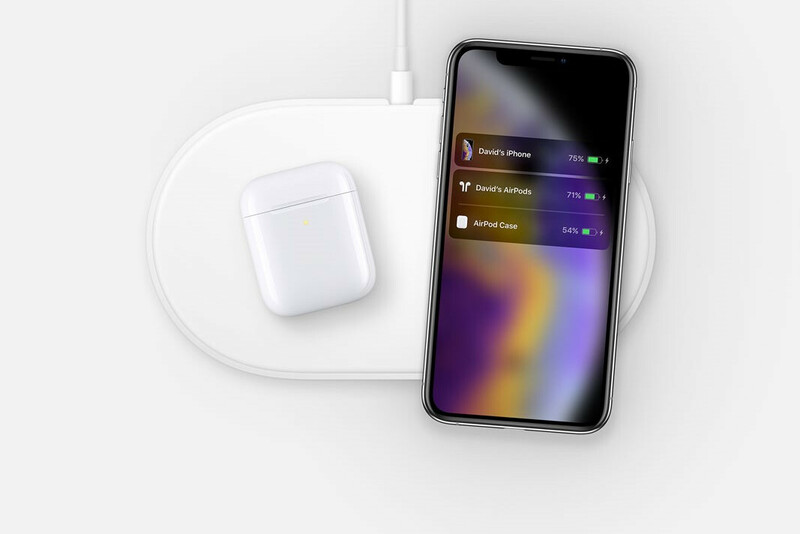 Presumably, this new AirPower image will be used once the charging path is officially introduced. The expectation was that it'd debut today, but Apple appears to have paused its announcements for the time. When will Apple actually release AirPower? At this rate, it's unclear when Apple will announce its highly-anticipated wireless charger. There are, however, appear to be three options. The first option, and one which could be considered wishful thinking, is and announcement tomorrow. Apple successfully created hype earlier this week with iPad, iMac, and AirPods announcements on Monday, Tuesday, and Wednesday respectively. Then, earlier today the number of iPad Air and iPad Mini reviews dropped, hogging the limelight for the day. An order to complete the week, Apple could schedule an AirPower unveiling for tomorrow, guaranteeing itself another day in the headlines. The second option is an announcement at Monday's event. This is probably possible but does seem pretty unlikely to this point. The focus of next week's press event is Apple's upcoming subscription services, and by announcing its newest hardware products this week, the company has successfully removed any potential distractions from the big day. But AirPower, rather naturally, would be a pretty big one. The last option is an announcement later this year. When it is a bit of a mystery, but the company could either launch it at WWDC or its iPhone event in September, or choose to release it quietly on any given day. What key features will AirPower offer? In terms of what AirPower actually has to offer – aside from its integration within Apple's ecosystem – the charging process should offer the ability to wirelessly charge up to three devices simultaneously. This means that no Apple users will be able to purchase the iPhone 8 (or newer) alongside Apple Watch Series 3 (or newer) and a pair of AirPods – as long as the new wireless charging case has been purchased. As for pricing, no official details have been provided yet. However, this is pure speculation at the moment and the final price could be either higher or lower.